For Groups, we can organize these trips from our Hotel Pier. The tour starts by bus which will collect visitors from the Lake Hotel around 10.15 AM. 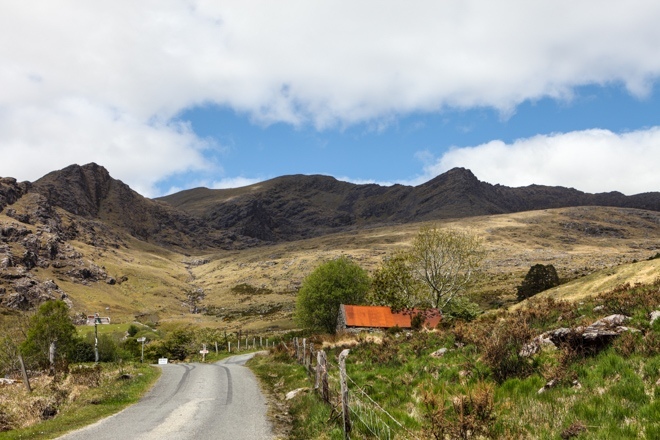 Passengers are then dropped off at Kate Kearney’s Cottage just before the start of the Gap of Dunloe. Here you can take a Pony and Trap or you can opt to walk 7 miles through the Gap by all the smaller lakes and eventually going over the Head of the Gap. 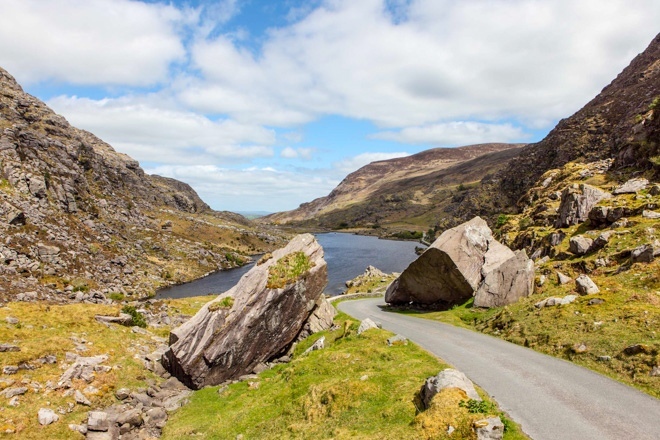 You will pass many smaller lakes on the route as you travel through the Gap of Dunloe. From the Head of the Gap (highest point) you descend down into the Black Valley and continue on to Lord Brandon’s Cottage which is a delightful tea room where snacks and tea and coffee are served, it is a good idea to take a moment to refresh yourself at this point as the next part of the journey is a 13-mile boat journey. The boat trip begins at Lord Brandon’s Cottage and heads down to the Upper Lake, you can see Ladies view (where Queen Victoria and her ladies in waiting took their rest) and the high Kerry mountains. There is a scattering of smaller islands on either side. Next, you will head to the Long Range river and six-mile bridge with the Eagles Nest on your left. Meandering down the calm flowing river you will get to the Meeting of the Waters, here you will descend down under the right arch into calm flowing waters by Dinis Cottage. Next, it is into the Muckross Lake (Middle Lake) and on under Brickeen Bridge and into the Lower Lake. Here you will pass by Glena Bay on your left and you can see an old house once frequented by the wealthy and famous. The Rhododendron has now taken over a lot of the grounds around the derelict house. Heading on by Darby’s gardens, O’Sullivan’s Cascade (unseen) and back by Innisfallen Island (It is said King Brian Boru was educated by the Monks here) into Ross Bay. Here you can see Ross Castle once an O’Donohue Stronghold. In 2007 the reintroduction of the White Tailed Sea Eagle is also a great attraction you might get lucky and see one on your travels. Next, it is a bus back to the Lake Hotel and relax overlooking the 12th Century Castle with a pint of Guinness and reflect on that magnificent Adventure that was the “Gap of Dunloe”. Please note the Gap of Dunloe Tour can go in reverse as numbers grow all the operators do offer this trip in reverse to cater for the numbers. There is no real difference in doing it either way. 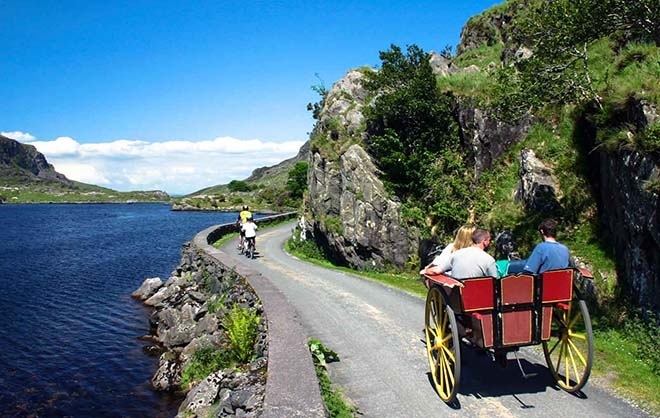 You can rent a bike in Killarney of near the Lake Hotel 300 meters and cycle the Gap of Dunloe and put your bike on the Boat a magnificent trip if you like the Great outdoors, again you can do this boat trip in reverse. Enjoy our Outdoor Hot tub or a relaxing drink by the Lakes of Killarney in our Lakeside Bar.